The French Association of Water Treatment Professionals (UAE) brings together actors from the field of water treatment in buildings. The UAE asked Wink Stratégies to support it in its various online communications, in order to raise awareness of its activity and the services offered by its members. – A SEO strategy has been established to improve the natural referencing of the website, then the structure has been reworked to provide a smoother navigation. – A modern design highlighting the content was designed, then the website was developed on WordPress to allow self-management by the client. – An extranet for members has been created and linked directly to the map listing professionals of the UAE in France. After producing promotional videos, the client wanted to find a way to give visibility to this content, so as to enhance the visibility of the UAE and the activities of its members. 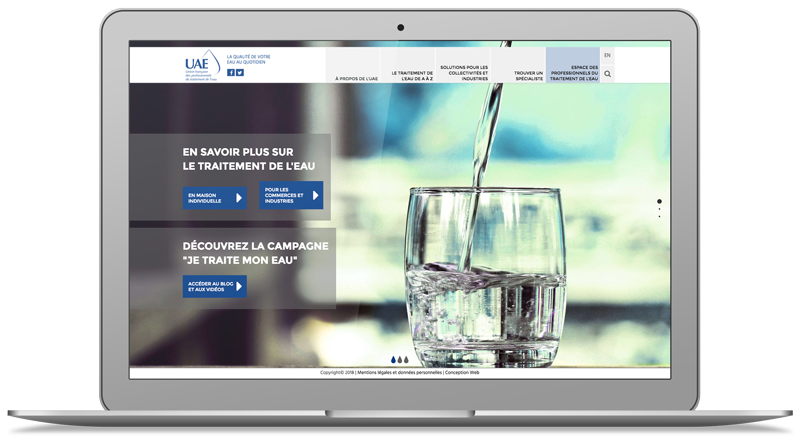 For this, we imagined the campaign “I treat my water.” A subsite has been created to highlight the videos and a blog, which we feed with infographics and articles on the treatment of water, intended for the general public. 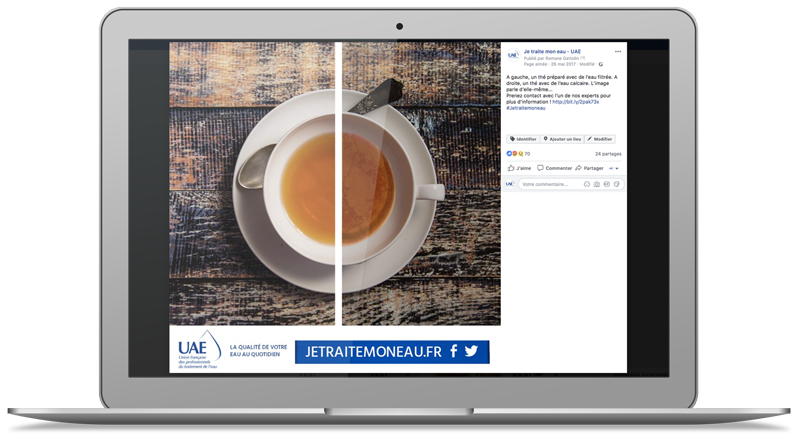 This makes it possible to approach the topics of the UAE in a less technical way and in a way more directly related to the daily life of the French, while improving natural referencing. 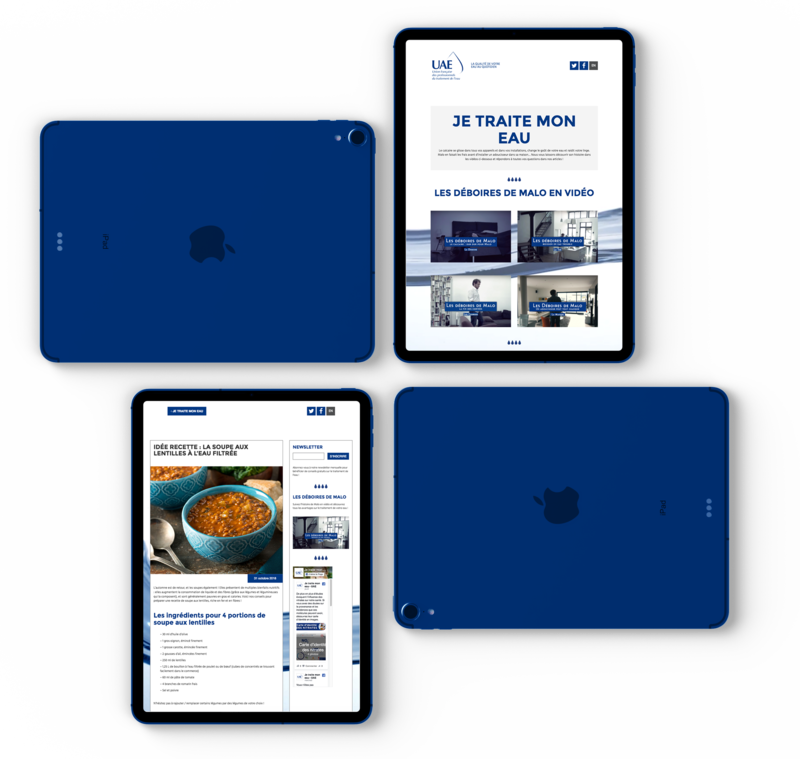 – Design and implementation of a monthly newsletter to highlight the UAE’s news and new content related to the campaign.